Not only do I love what you do, but I love the kitty in the sink. 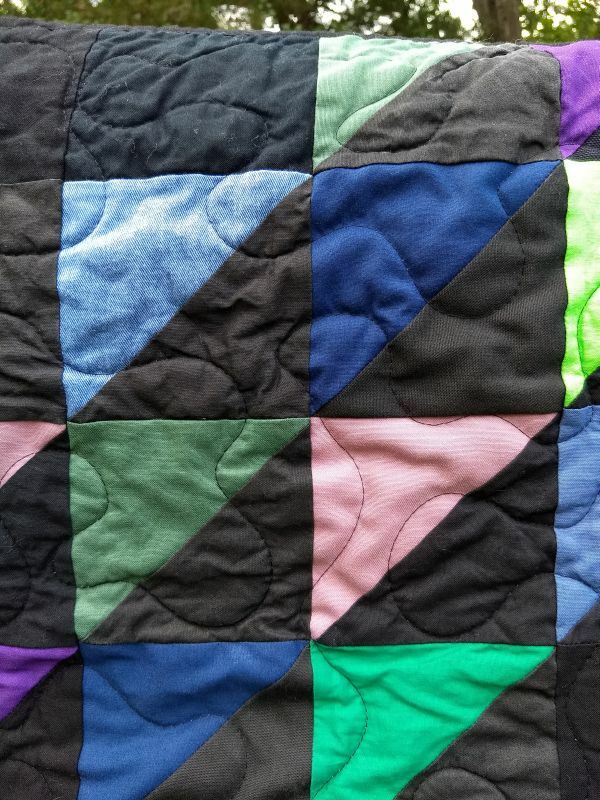 I also once had a kitty that loved the sink--no matter what, that was where she took her "naps"
Both these quilts are quite dramatic with the black against bright solids. Very striking and handsome! I hope Betty shares your post with her friend's widower so he can know what comfort the quilts will provide to another family or two. Both of these quilts are simply stunning! Your meandering really let the patterns take center stage. giving is a joy, to the giver for sure, and for the one who receives a quilt made with love and caring thoughts. 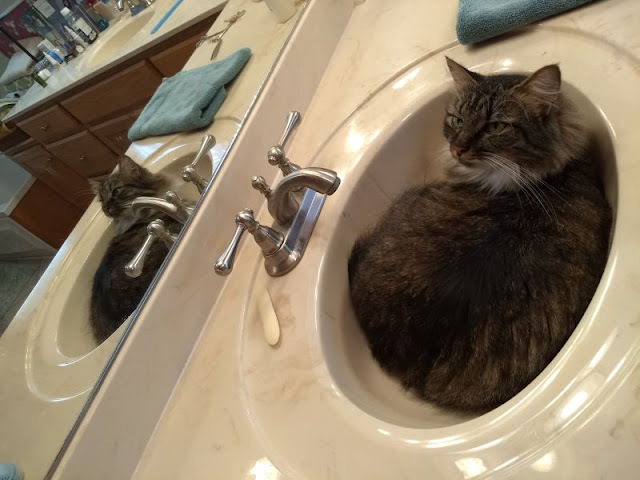 Sharing the basin, why not, she says!!! 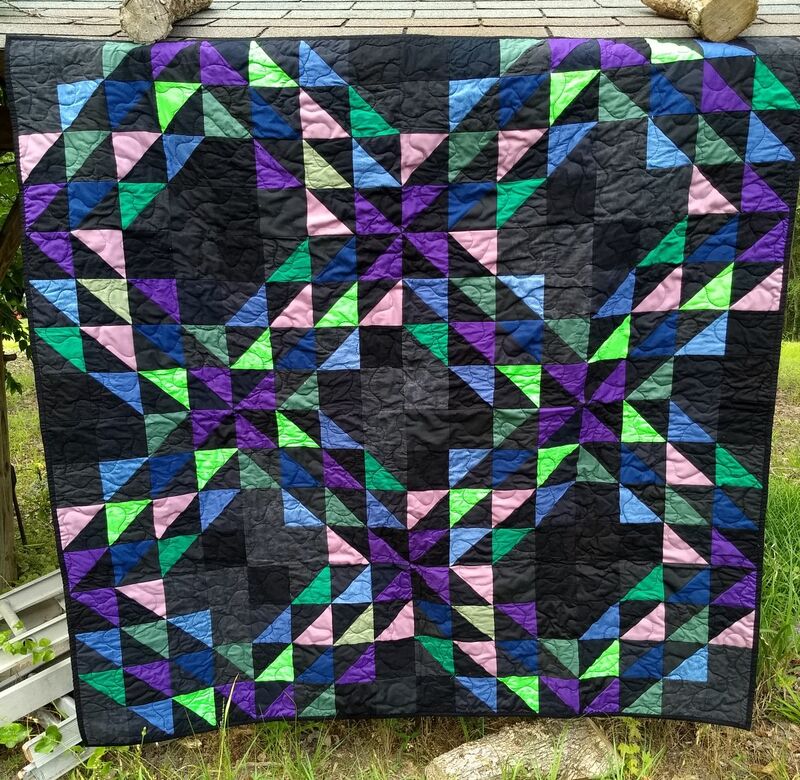 I love the colors in both quilts. I have always like black in quilts because it cause the colors to really pop. 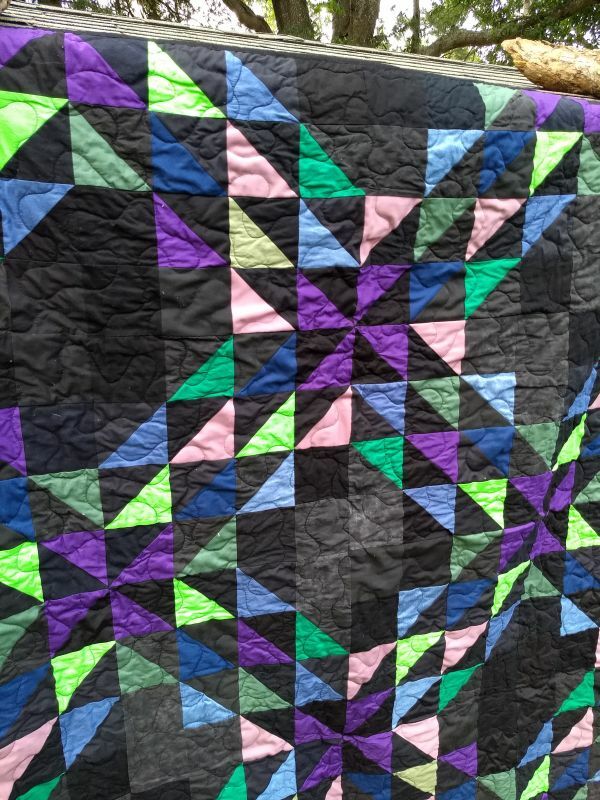 The Joyful Quilter stole my thunder...I was going to comment on how I really like your meandering in the CiL quilts. Thanks to Betty for sending you those gorgeous tops. Glad you didn't shoo her out of the sink. She looks really comfy! Two wonderful quilts! Thanks for sharing each of them. I really had to laugh out loud when you said you brushed your teeth somewhere else. =) The cat rules! These are beautiful! 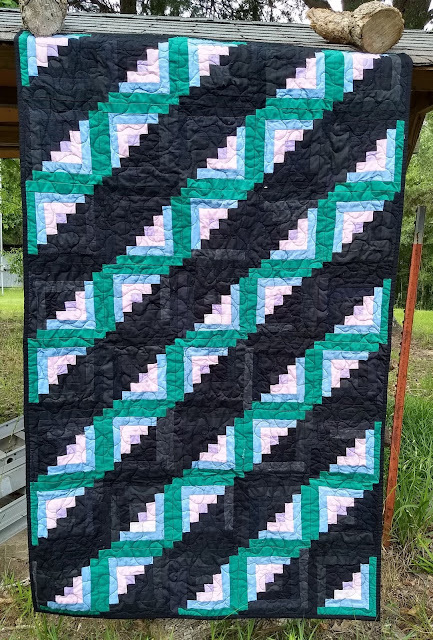 I really love the way the brights pop against the black background and how the different black fabrics lend so much nuance to the overall quilt. Lovely! 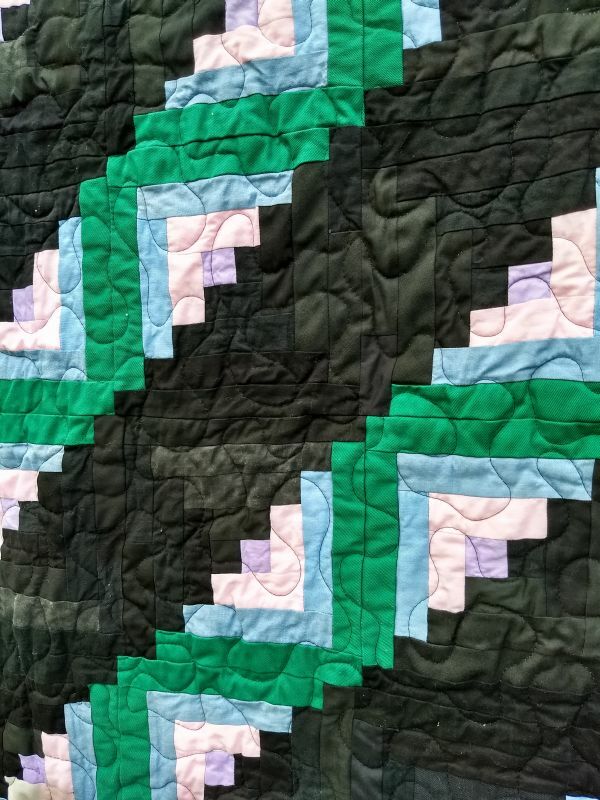 These quilts look great. I love the way the black backgrounds.